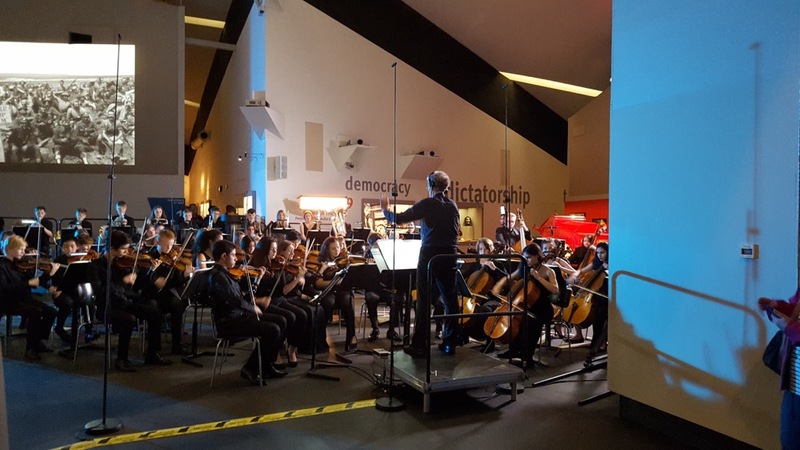 Chetham’s Sinfonia put on an open rehearsal at IWM North. 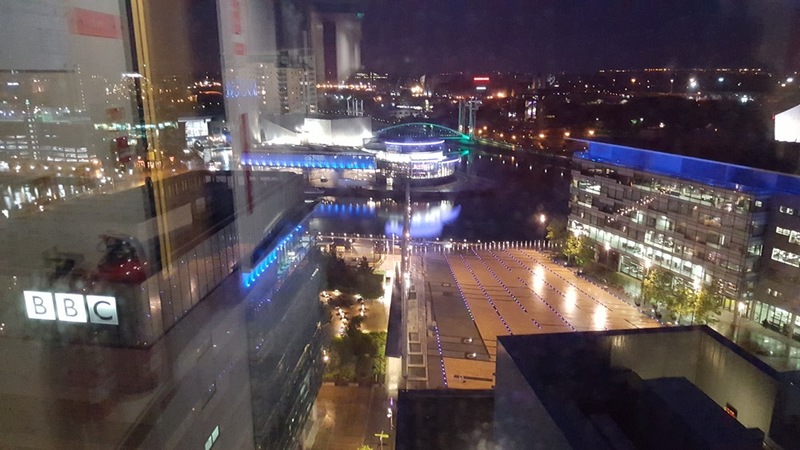 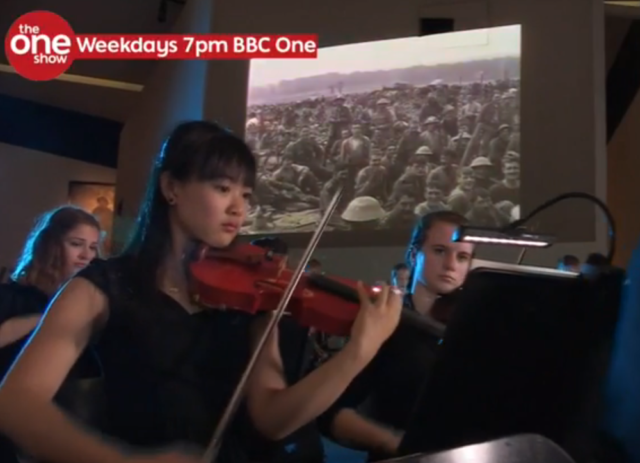 The film was projected onto a wall of the museum and the orchestra performed live with the film to an audience of school children and museum visitors. 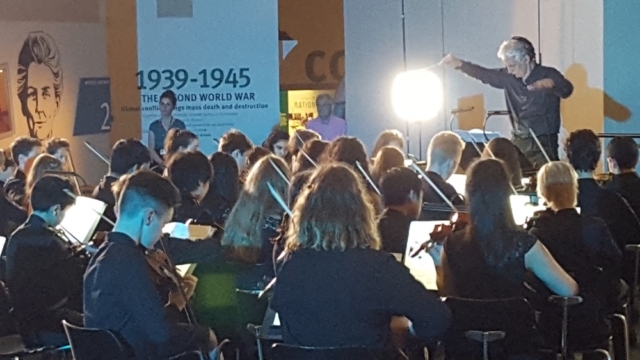 Conductor Stephen Threlfall spoke to the audience to explain what they were doing and let the children listen to the click track in his headphones and have a go at conducting. The orchestra were also filmed performing live with the Somme film for a special feature about Somme100 FILM on BBC1 The One Show. 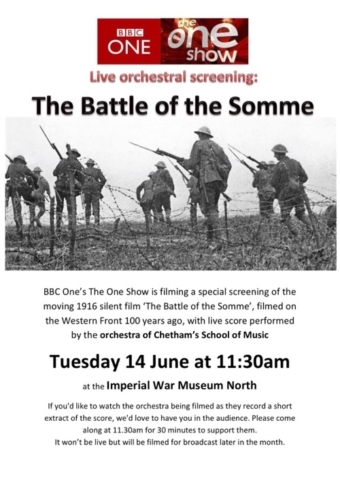 Composer Laura Rossi and Matt Lees (head of the film archive at IWM) and some of the children in the orchestra were interviewed for the programme.